When the ambient temperature of the environment increases considerably, a condition known as hyperthermia can occur. 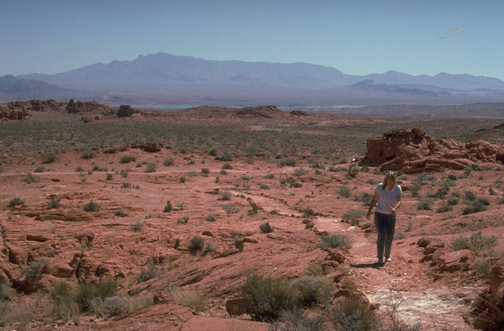 A hot, dry location such as southern Utah, shown here, is an obvious place for hyperthermia, particularly if the person hiking does not carry adequate water. However, an enclosed space such as an auto or a building can present a risk, particularly for infants or aged persons. In a heat-related death, core body temperature is found to be at or above 40.6 C (105 F).